Announcing the Top 10 Windows! Windows are the perfect pairing of practicality and decoration and so many of the possibilities are represented in this week's Design Challenge. You all really impressed us with your submissions! 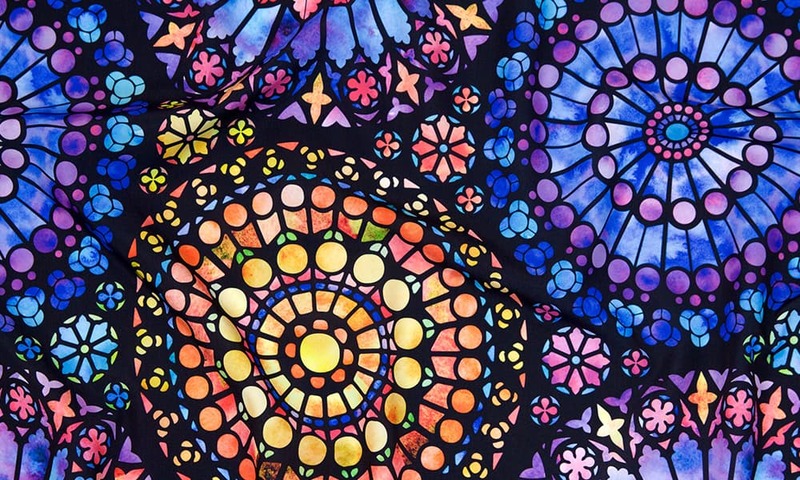 We're thrilled to announce the winner of our Windows Design Challenge, "Painted Rose Windows" by Logan Spector. Be sure to show some love to the rest of the top ten designs! [Read more…] about Announcing the Top 10 Windows! Vote For Your Favorite Window Designs! Lighting and design are key in this week's Windows contest. What kinds of windows (literal or figurative) are, in your opinion, the most beautiful? Vote for your favorites by next Wednesday! Panefully close: Check out the Doors & Windows fabric that won by a single vote! Deborah van de Leijgraaf, a very talented artist from The Netherlands, wins the Fabric Of the Week competition this time around, but not without serious competition. Deborah's lovely "Happy Home" got exactly one more vote than the runner-up, another terrific Windows & Doors design by Allison Beilke of Wisconsin. I thought this was a te rrific week for fabric designs — all of the participants deserve congratulations! [Read more…] about Panefully close: Check out the Doors & Windows fabric that won by a single vote! Our fabric contest this week features another whimsical theme, but one that — if the field of splendid entries is any indication – apparently stirred up a creative stew out there in Spoonflower-land. Sometime between now and next Wednesday (Aug. 25th), take a few minutes to vote for your favorite fabrics. The recipient of the most votes will receive a $100 Spoondollar credit!